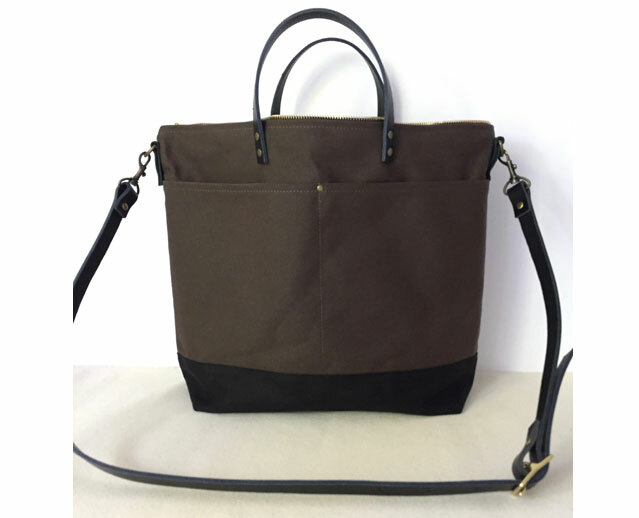 This is a custom Utility Tote for Christine in Pittsburgh, Pennsylvania. She is using this as a work and travel bag. 2 front pockets were added to this bag for more organization. In total, there are 6 pockets (4 interior). 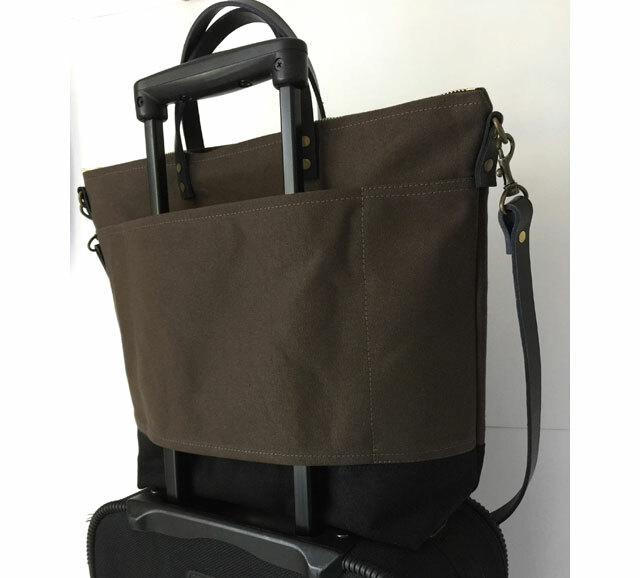 This tote can hold a 13″ laptop. Since Christine is also using her tote for travel, a custom luggage strap was added. This is very useful when you’re using this bag as your carry-on. 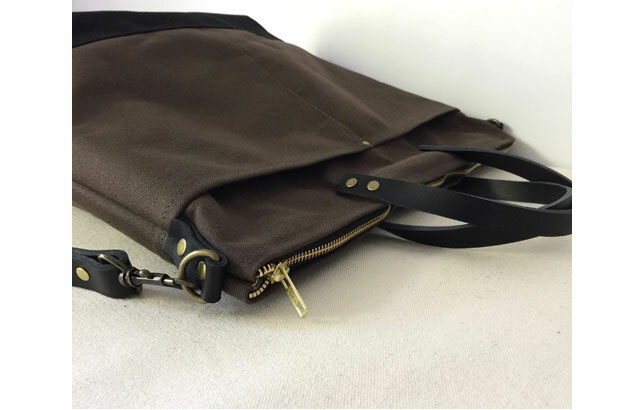 This bag is made out of water resistant lightly waxed canvas, Italian vegetable tanned leather and antique brass hardware. 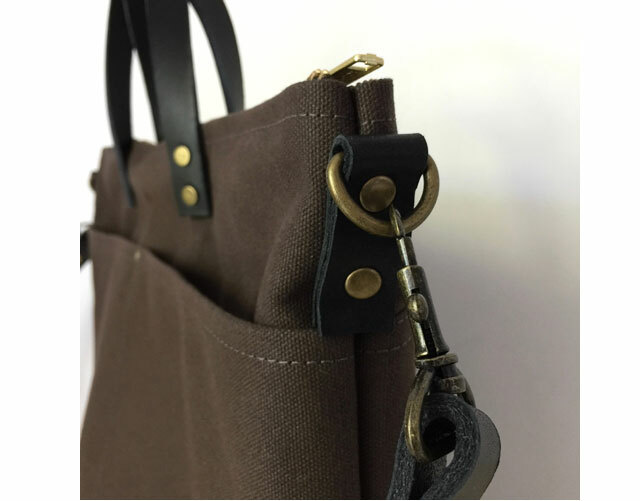 A full brass YKK zipper runs along the top of the tote. That will keep everything secure, especially on the airplane when you have to stow the bag under the seat in front of you. 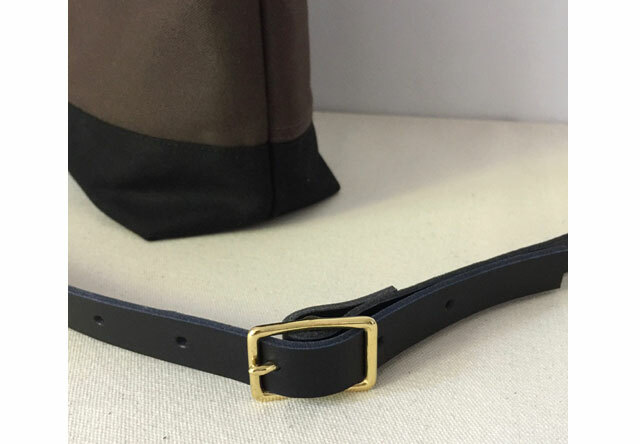 The crossbody strap is detachable and adjustable with a brass buckle. 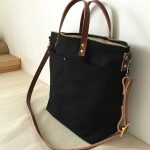 You can wear the bag on your shoulder or messenger style. 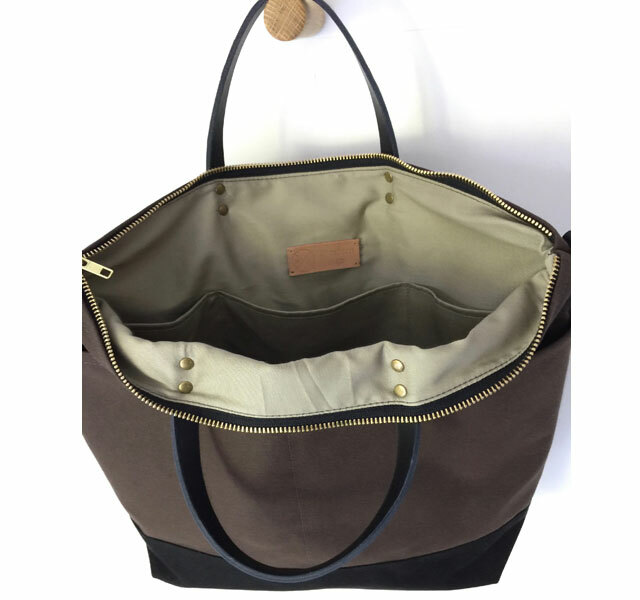 The interior is lined with a tanned coloured cotton twill lining. It has 4 organizational pockets. 2 are large water bottle size and 2 medium pockets. 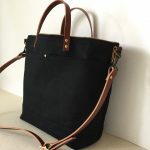 NOTE: The Utility Tote can be ordered in my online shop. 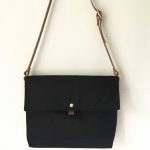 You can then add several custom options to it, such as 2 front pockets, a luggage strap and a monogram label. Please contact me at cathy@moderncoup if you have any questions or through my Etsy Shop. Thanks!